The X-Men are unique among top-run superhero franchises in that they feature a very broad ensemble. While the Spider-Man franchise is stuck doing reboot after reboot focused on Spider-Man, the X-Men have a large stable of characters to choose from. So you could do a movie focused on Wolverine, and then an ensemble piece that features Wolverine, and then for a change of pace, why not Wolverine? Yes, there’s no doubt as to who the most popular X-Man is, and as a result, Hugh Jackman has been cursed with donning the adamantium claws in movie after movie, leaving him precious little time to lip-sync and hand out awards. But after three X-trilogies—the three where Captain Picard is Professor X, the soon-to-be-three where Professor X has hair (and Captain Picard is also in one), and the three that have Wolverine in the title (X-Men: Origins: Wolverine, The Wolverine, and the upcoming Wolverine: Wolverine: The Wolverine, which Captain Picard will also be in)—Jackman is finally bowing out. Like a cursed monkey’s paw, which lets you be a rich and famous movie star but also has retractable metal claws that dig into your career and never let go, Jackman believes he can only escape the curse by passing it on to another poor soul. 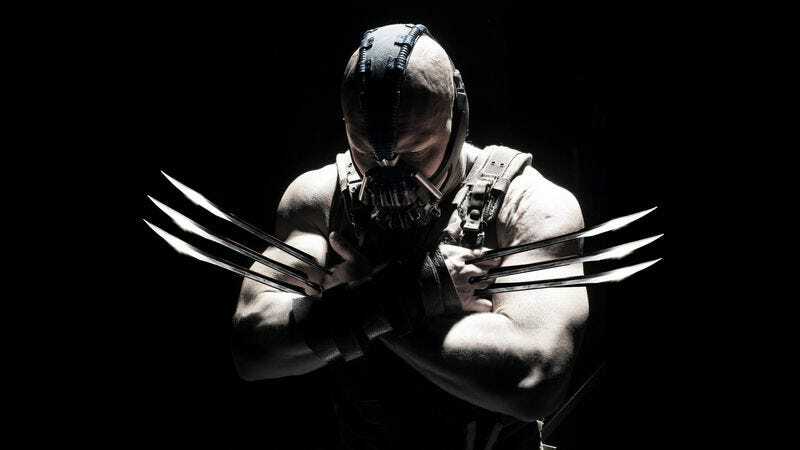 Which is why, according to Variety, Jackman would like Tom Hardy to make all of the Wolverine movies from now on. You may remember Hardy from such films as Inception, The Dark Knight Rises, Mad Max: Fury Road, The Trailer For Inception, and basically every movie in the center of the Venn diagram labeled “Big Budget Hollywood Movie” and “Ownage”. You also may have tried to forget him in Star Trek: Nemesis (which also had Captain Picard in it). Variety also mentions Hardy is a favorite to take over as James Bond—a role Jackman has also lobbied for, the internet has assigned to Idris Elba, and Daniel Craig isn’t actually finished with, if you don’t mind. So, until The A.V. Club tells you otherwise, just assume Hardy is the frontrunner to star in every movie from here on out.